We finally made the plunge and send out a PO for a UAV (unmanned aerial vehicle). Of course, we are not talking about a GlobalHawk or a Predator drone (but man, those would be cool -- do field mapping on the other side of the planet from a desktop... drool). We are looking to get a (1) robust (2) self piloting (3) portable (4) minimally dangerous to others (5) robust (6) really robust (7) affordable platform for generating high resolution imagery of land surfaces that can be turned into georectified orthophotos (ideally with multi-spectral capability) and high resolution topographic information. 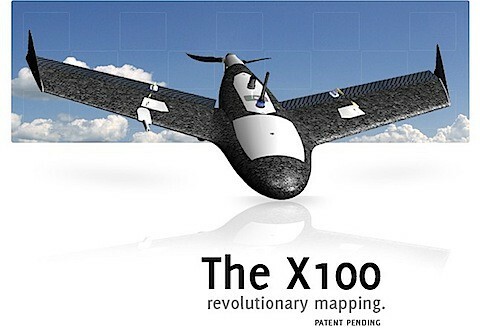 The UAV we want has GPS guidance, returns to launch location, and will allow systematic coverage of a landscape. This rules out most helicopter solutions that specialize in "overhead" type coverage. While there are *many* fixed-wing based UAVs out there for potential sale, most of them tend to be military oriented and thus too expensive or unattainable (i.e., why bother with a university when uncle sam will buy a billion dollars worth of your product). We initially had made a deal with DraganFly to buy their Tango platform. In fact, we went so far as to do a PO for their fixed wing system. However, we found out a number of details (1) DraganFly isn't really making Tango type platforms, at least for the near future as they are focusing almost entirely on the helicopter type units (2) when they list "gps guidance" in their specs what they really mean is that they have a "solution" for gps guidance provided by another company that requires an entirely separate license and other negotiation. In other words, they simply can't deliver a fixed wing system. Bogus. We ended up going with Gatewing, a Belgian startup company that has created a UAV system ideally suited to our purposes: generating systematic imagery to be used in creating orthophotos and terrain maps. Their system is the "X100" and meets all of our requirements -- and will ship on December 13th! Whoohooo. At any rate, this platform should gives an excellent means for generating topographic maps of study areas and for producing detail photographic imagery. We look forward to working with Gatewing and exploring this UAV's capability. We are as excited as you are. This is our first overseas platform we sell. And as far as we learned from you, you will be using it for some pretty cool stuff! You can 100% count on us for support!